Each door is designed and constructed for your specific design and size requirements. We can create just about any door you can imagine. To help ensure wood stability, our doors come pre-finished with a multi-step industrial coating. Our finishing process involves meticulous sanding, application of stains, glazes and a catalyzed exterior polyurethane. Our finish is not only extremely beautiful it is also very durable. To make certain that your door operates flawlessly for years to come, Meadow Wood provides our own professional installation. 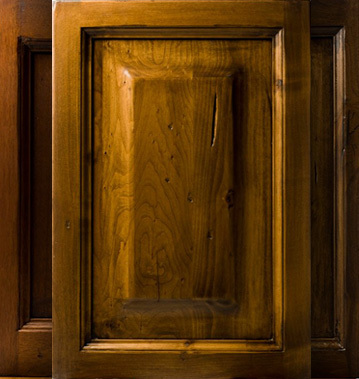 Most of the common problems associated with wood doors can be prevented by proper installation. Our door slabs are constructed with micro laminate engineered cores for stability. You will not have to worry about warping or twisting. Each of our door joints are reinforced by our unique wedged dowel system. This time consuming process produces a joint that is inseparable. Our standard door slab thickness is 2 1/4 inches. Other thicknesses are also available. We use only heavy duty ball bearing hinges. 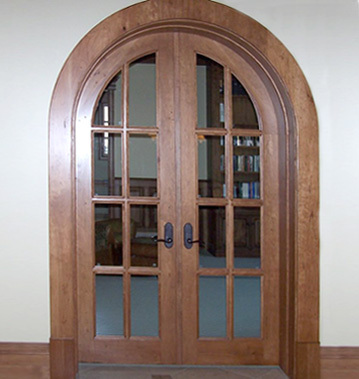 All our craftsmen are highly skilled and consistently produce doors of the highest quality. 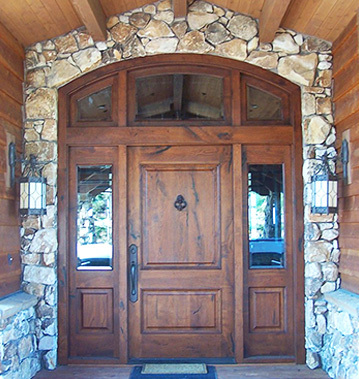 When comparing price, consider our cost includes the entry door, pre-finished and installed, exterior trim and glass. We also provide door handles, and interior trim at an additional cost. Consider the beautiful design, complete product, exceptional quality and value Meadow Wood Doors has to offer.